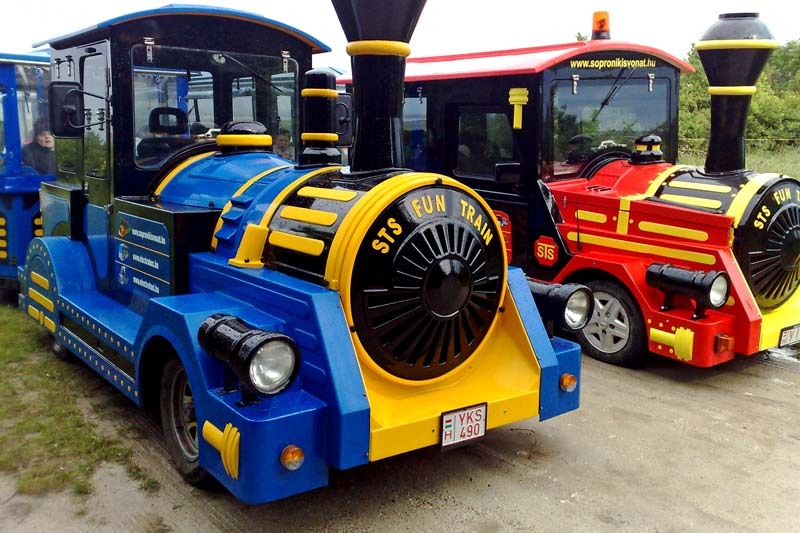 Sightseeing trains consist of one locomotive and a maximum of four trailers. 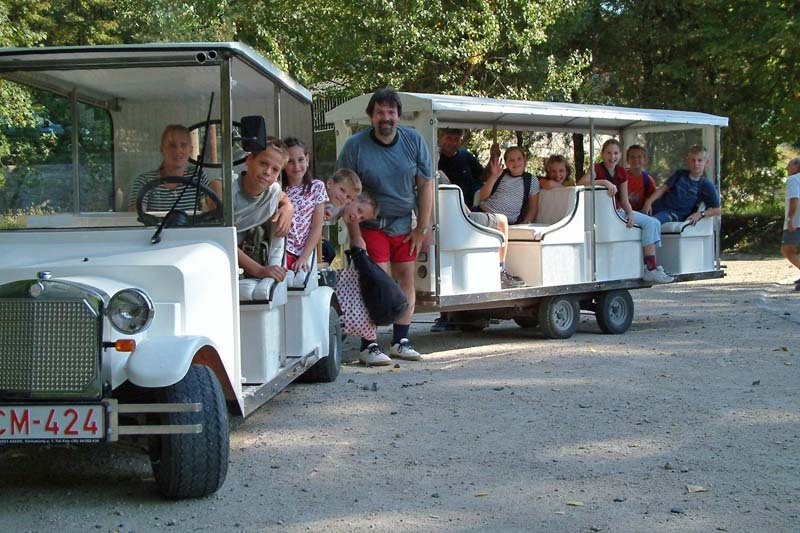 The trains can carry 20, 40, 60 or 80 tourists. Trailer doors can be locked and are equipped with safety chain. The Dino train is our newest children's favorite. 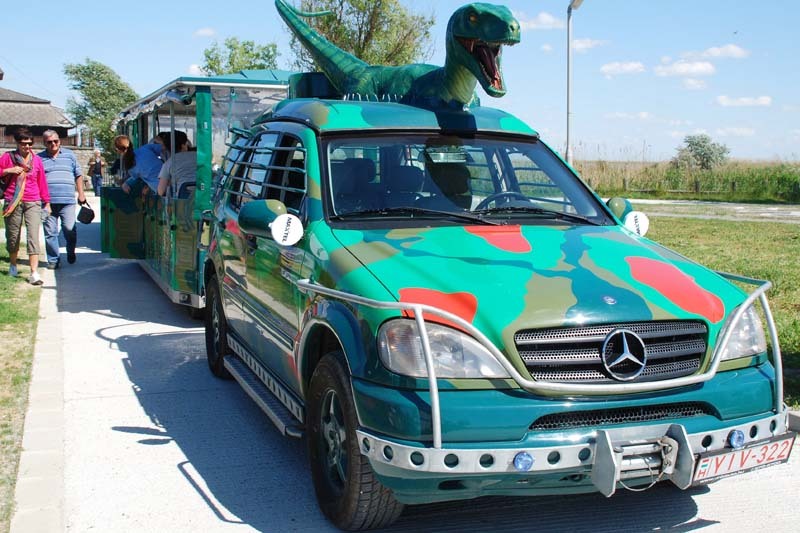 This is a camouflage patterned train, and on its hood is sitting a dinosaur who accompanies us during the programs. The electric car is driven by electric engine, therefore, it is a real environment friendly vehicle. It goes slowly and silently, and gives a very special travel experience. Das Elektroauto ist vom Elektromotor angetrieben, so ist es absolut umweltfreundlich. Es fährt langsam, ohne Geräusch und bietet ein besonderes Fahrterlebnis. The small electric car has 7 seats and the big one has 13. 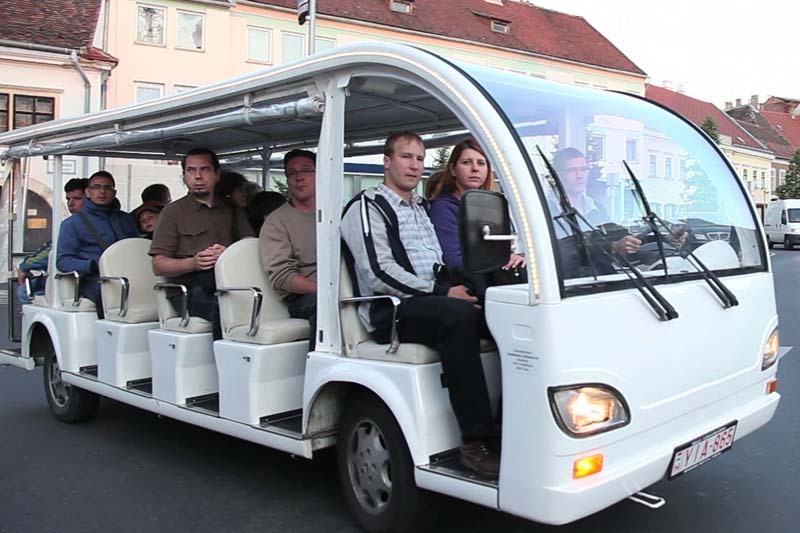 With the 5 electric cars can travel at the same time 53 adults.